I hope you all had a beautiful weekend. One more work week until the long weekend. Score! It's been awhile since I've shared a recipe with you so I thought a healthy (and delicious) take on a spinach salad might be just the power food to help you get through to the weekend. Which I hope, for your sake, is full of grilled deliciousness and game food, because it's COLLEGE FOOTBALL KICKOFF WEEKEND! Duh! Which is basically heaven on earth, but I digress. Place the spinach is a medium-sized bowl. 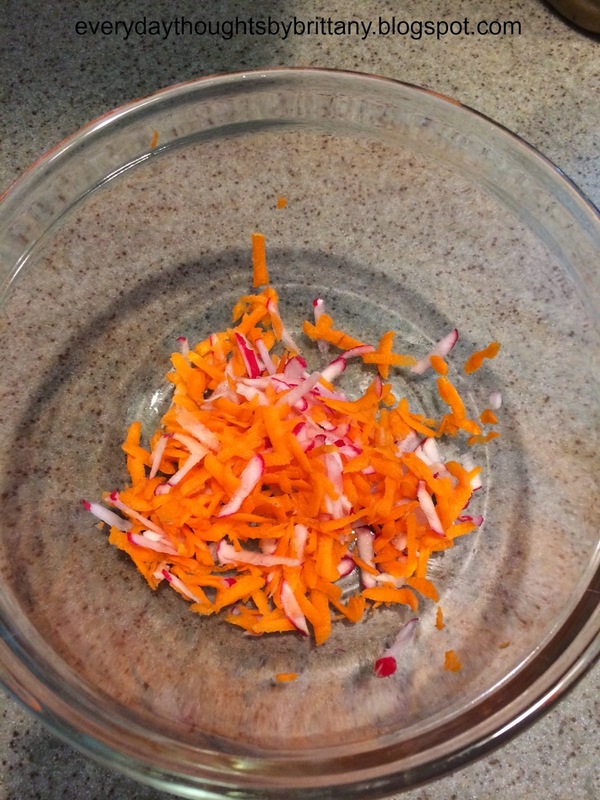 Wash and shred the carrot and radish. This can be done with a simple cheese grater. Combine the spinach with the shredded vegetables and mix. Top with the cranberries and sliced almonds. 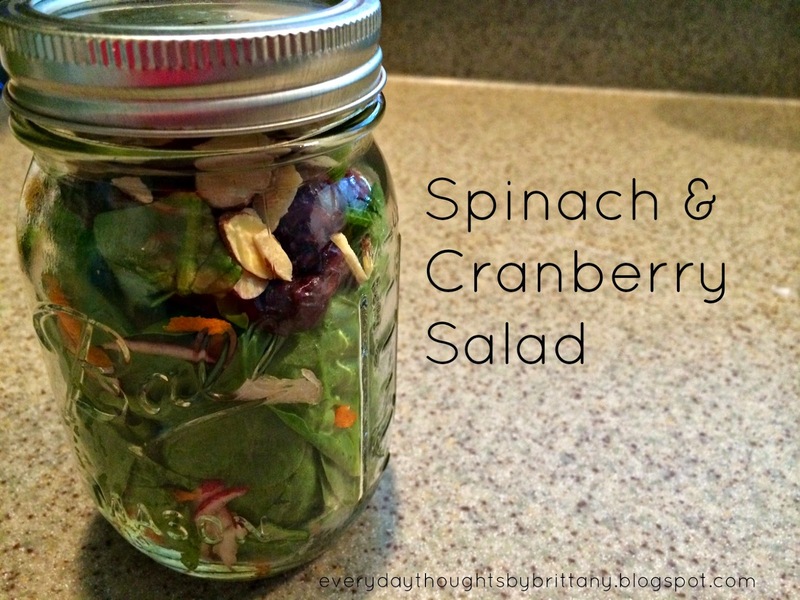 If you're making this ahead of time in mason jars, layer the spinach, carrot and radish mixture on the bottom, until it's about 3/4. Sprinkle the cranberries and almonds on top. This is a great idea if you want to prepare them for lunches or a unique way to serve salad to your dinner guests. 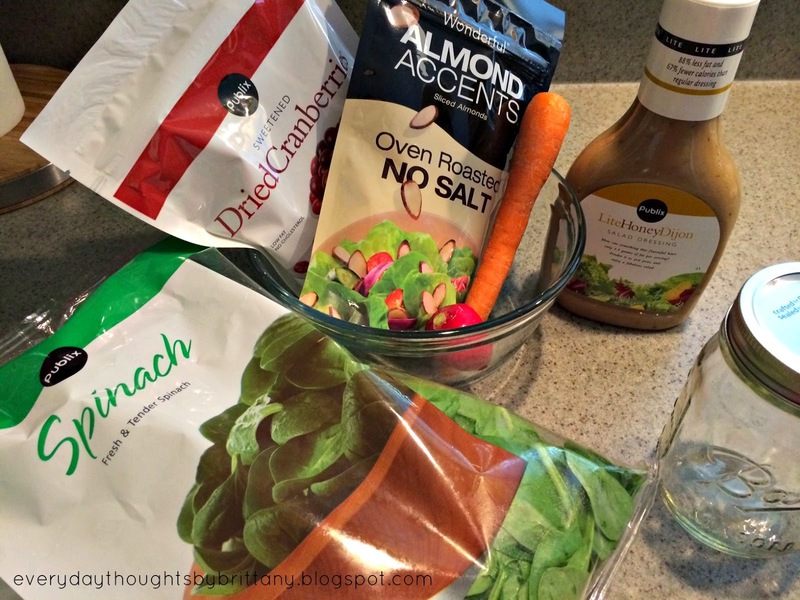 Add your favorite dressing, if desired, only wheb you're ready to serve. You need to link this up to Good Food Fridays this Friday! It looks soooo yummy! Oh what a great idea! I will indeed! It's so yummy and easy to throw in a diaper bag to enjoy while the little guy plays at the park!